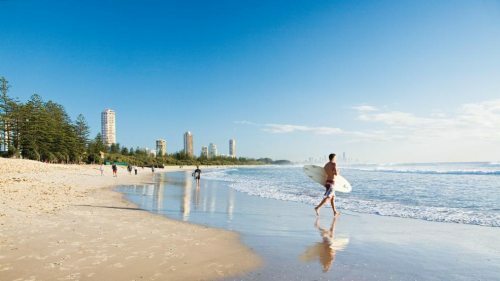 Air Canada has dropped the price of their non-stop flights from Vancouver to Brisbane, Australia down to $965 CAD roundtrip including taxes. 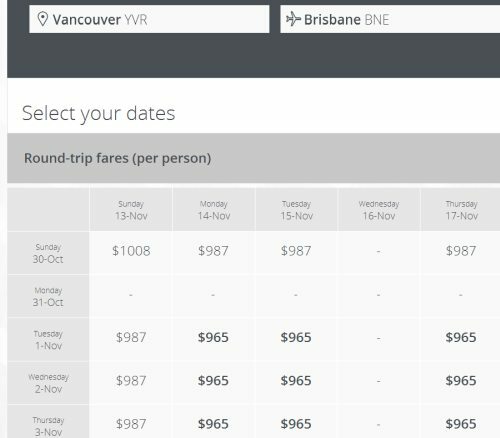 This is 38% below the typical best roundtrip price from Vancouver to Brisbane. 1-stop flights are available from Victoria (YYJ) for the same price ($5 less actually). 3. Search for a flight from Vancouver to Brisbane, Australia (BNE) in September, October, or November 2016. Air Canada has been testing out a new version of their website. But if you enter the promo code (BRISBANE15) and search for these flights on their *new* website, it will work just fine. I've updated the links in the blog post to go to Air Canada's new website (which is still in it's testing phase). Sorry about that, for anyone that couldn't find them! vancouver, yvr, flight deals, air canada, victoria, yyj, australasia, australia, brisbane, bne, gold coast and oceania. 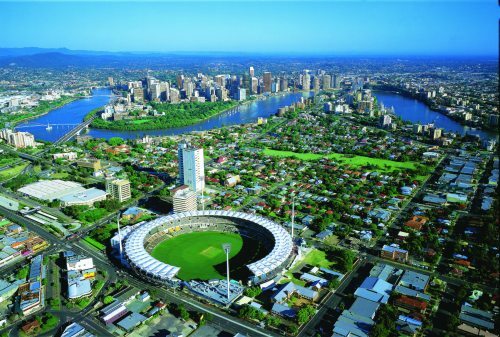 One Response to "Vancouver to Brisbane, Australia - $965 CAD roundtrip including taxes | non-stop flights"